This innovative intelligent robot guides your children through the process of learning mathematics, arithmetic and geometry following government guidelines. 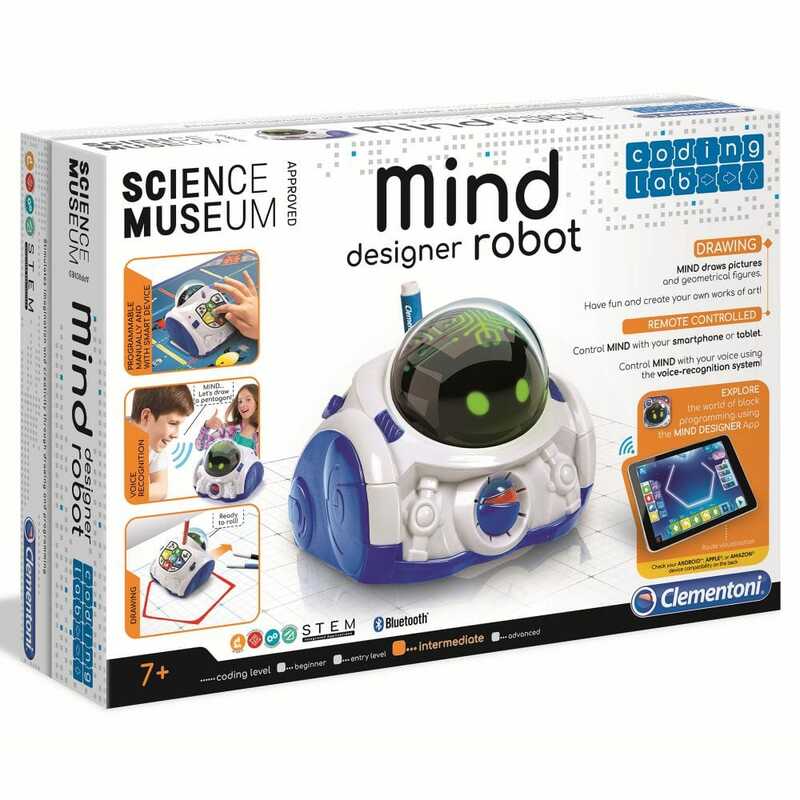 It introduces your child to design using the precision motors which enable them to create geometric shapes and designs of varying complexity with extreme precision. This incredible robot can be programmed manually or by voice using the innovative voice recognition function. With the Arithmetic chart, Mind can be programmed to carry out arithmetical functions, while using the Escape Room chart, your child will be encouraged to solve quests and develop skills in logical thinking. Using the exclusive free App, your child can experiment with coding instruction blocks, create complex geometrical shapes and play with loads of original interactive code-games. Thanks to Bluetooth technology, Mind's content is permanently updatable for limitless playability!